Permanent Makeup is most beneficial for people who are unable to wear other cosmetics due to allergies and skin sensitivities or patients who have alopecia or receive chemotherapy. Permanent makeup is also great for people who constantly need to use a brow pencil for spare eyebrows, non existent eyebrows or those who wish to correct asymmetrical lips or brows. Women with vision problems or unsteady hands will undoubtedly find this procedure worthwhile. Wouldn't you like to look great 24 hours a day? Active lifestyles? Or do you just want to wake up ready to go? 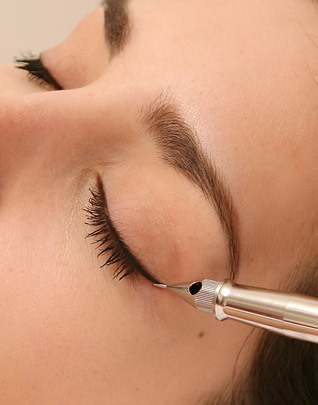 If you answer yes to any of these questions you will love to have permanent makeup. My goal is to create a more beautiful you. My work truly is my passion. I am a well -trained,meticulous experienced Permanent Makeup Artist. I have the skill to perform all procedures with exquisite results. Permanent makeup application is my sole business and my true specialty. I preform my work in a studio where one on one attention is my utmost priority, You are the Star!